Ah, the puzzle! 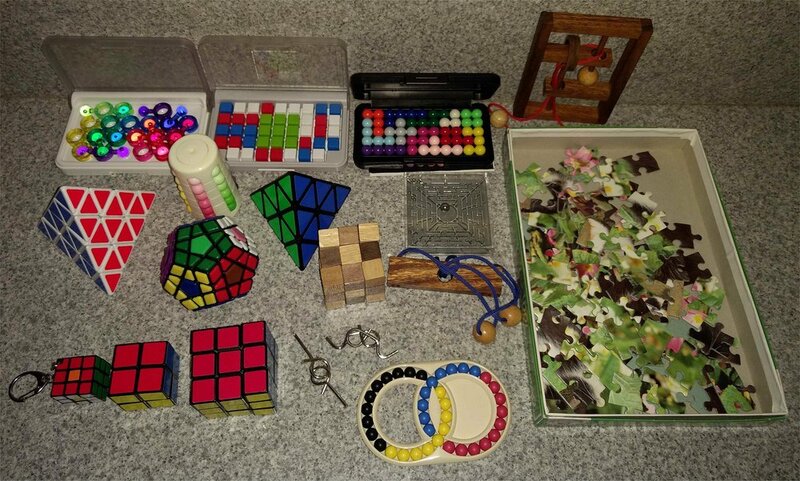 There are the jigsaw, Rubik, crossword, and logic puzzles among many other kinds, all with the goal to challenge your thinking. For this blog, we're focusing on jigsaw puzzles. By the early 1900s jigsaw puzzles were an adult hobby and craze. Manufacturing for puzzles also became an industry to meet the need. At the height of the Great Depression in 1932, jigsaw and crossword puzzles were at their most popular as a low-cost/free means of entertainment. Since then the variety and complexity of puzzles has only grown! There are so many kinds of puzzles, there is bound to be one that's perfect for you! There are tons of electronic puzzles to try here! If you and your kids are more hands-on, as you can see in the picture above, you have a lot of options, too! Supe simple! Have your kids draw a picture. Then cut it up! It sounds a little mean, but it's all in the name of learning. The material can vary; paper, tongue depressors/popsicle sticks, even cookie dough would work! Happy creating! NO PUZZLE PIECE LEFT BEHIND! If you find yourself with a collection of random, displaced puzzle pieces, you're not alone. And now you can get crafting - here are 45 crafts to inspire you and your family!